Conejo Dental consists of dedicated professionals in the field of dentistry, whose main objective is to help improve and promote dental health and wellness in Newbury Park and Thousand Oaks, California. Whether it is a routine check-up or a more specialized operation, we handle every single appointment seriously and excellently. Each of our doctors have obtained impressive training and background in various fields of dentistry, and this makes us a truly reliable team when it comes to handling various concerns regarding our customers’ teeth and gums. Both children and adults enjoy our services because our warm and friendly staff guides them throughout the whole process. We always make it a point to establish good rapport with our clients as this leaves a positive influence to their dental lifestyle. Hence, it is inevitable that our clinic is constantly flooded with referrals and repeat customers. Likewise, the feedback we get from our customers allows us to keep growing as public servants. We provide only the most superb and long-lasting treatments in town—from tooth extractions to implants to teeth whitening and alignment. More importantly, we are your partners in building an environment that celebrates the beauty of a perfectly beautiful and healthy set of teeth! 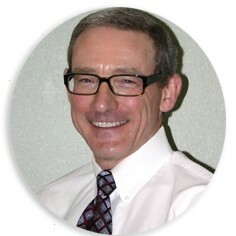 Born in St. Louis, Missouri, Dr. Steven Stanley is one of the most successful members of Conejo Dental Group. A graduate of UCLA School of Dentistry, he is also a board-eligible prosthodontist as well as a specialist in the revolutionary field of Implant Dentistry. He also served as the Director of Continuing Education at Cedars-Sinai from 1992 through 1995. Presently, he is a guest lecturer to the General Practice Residents of the same institution. He embodies the mission and vision of Conejo Dental Groups, not only in terms of providing reliable and affordable dental care services, but also when it comes to giving back to his community. Aside from being active in various high school sports programs that expand on information about oral and dental healthcare for athletes, he is also active in area organizations that provide a helping hand for those less fortunate. Dr. Henry Chen first set foot to the United States at the young age of 17, settling on the east coast where he received most of his education. Also has a passion for the art of songs and melody, he met his wife-to-be when she was still studying music. Now happily married, he also takes pride in his musically-inclined children. Customers love him for his accommodating and friendly nature. He always welcomes customers both old and new with a genuine smile. As a result, children feel more at ease during their appointments, while the older patients find it easier to open up about their questions regarding their daily dental regimens. Truly, he makes dental visits more worthwhile and enjoying for his clients. 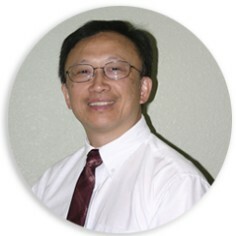 As a former member of the Veterans Administration Medical Center in New Orleans, Dr. Henry Chen also has an extensive experience and training in the field of prosthodontics. Recently, he was ranked by faculty appointment as Clinical Assistant Professor at the University of Pennsylvania and Louisiana State University. His specialization focuses on applying bridges and crowns, dental implants, dentures and fillings. At present, his contributions and his excellence is continuously being recognized and regarded with utmost importance by the leading authorities in dental health and prosthodontics. One of the most decorated members of the Conejo Dental Group, Dr. Sharon Meng takes pride in her extensive background and training in the field of Dentistry. She received her Bachelor of Dental Surgery (B.D.S.) at National Yang, Ming Medical College in Taipei, Taiwan. She continued her education at Northwestern University Dental School Chicago, Illinois with a degree of Doctor of Dental Surgery (D.D.S.). She went on to pursue her Master of Science in Dentistry (M.S.D.) in Saint Louis University Orthodontic Graduate School St. Louis, Missouri. Falling in love with the warmth and beauty of Newbury Park, she decided to settle here after completing her education. She has now lived here for over 17 years, settling to simple pleasures such as listening to jazz and blues, singing to Karaoke, reading different forms of literature, and getting preoccupied with gardening. From the time she settled at Newbury Park up to the present, Dr. Sharon Meng continues to extend her love for dentistry through her admirable work and contributions in General Dentistry, Invisalign Orthodontics, Teeth Whitening, Orthodontics, Dental Restorations and Orthodontics. She is keen on executing perfection in all of her appointments as she believes that the best part of being an accomplished dentist is having the power to restore the beautiful smiles and hearty laughter in all of her customers. Northwestern University Dental School – Doctor of Dental Surgery Deans commendations for academic excellence in each trimester at Northwestern. Saint Louis University postdoctoral training, specialized in Orthodontics and received Master of Science degree in Dentistry – early graduation as an honor student in December 1993. Dr. Robert M. Jones is an outstanding member of Conejo Dental Group that best reflects the accolades of the association. He is a graduate of the UC San Francisco School of Dentistry, where he received his Doctor of Dental Surgery degree. He completed a one year general practice residency at the V.A. Medical Center in West Los Angeles and went on to complete his specialty training in periodontology at the V.A. Medical Center and Marguette University in Milwaukee, Wisconsin. As a board-eligible periodontist, he was also tapped by the UCLA School of Dentistry to be a lecturer in the field of periodontics. He is the best dentist to consult when it comes to diagnosing and treating diseases and complications of the gums, teeth and jaw. Moreover, he will suggest additional health care tips to clients to help them prevent the onset of more serious oral health problems. Dr. Robert Jones is not just a highly proficient dentist, because he is also a firm believer of healthy and educational recreational activities as a way of living life to the fullest. In his leisure time, he enjoys activities like hiking, cycling, and camping. As a professional kayaker, he also teaches sea kayaking with the UCLA Recreation Department.